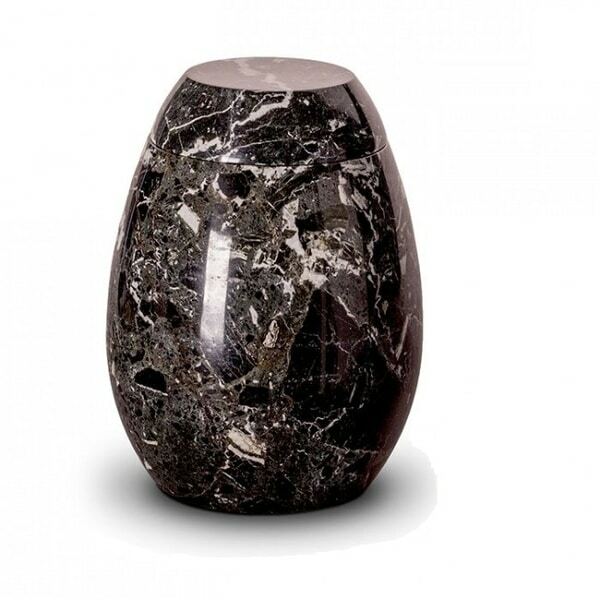 A dark marble urn, hand carved into an oval and polished to present a phenomenal finish. The marble we source is from a highly prized region south east Asia, mined from caves and chosen for their strength and appearance. Like your loved one, each urn, when finished will be 100% unique due to the natural of the material. The urn itself has a capacity of 3.8 litres and each piece weighs approx 7.2kg, making them sturdy in all locations. The marble is perfectly happy used indoors as an ornamental piece or outdoors as memorial. The marble will naturally age and will need minimal upkeep., The lid supplied is heavy set, but If storing outside, we recommend an extra sealant be used just to ensure now water can make its way inside. Urn is also available in matching keepsake size. 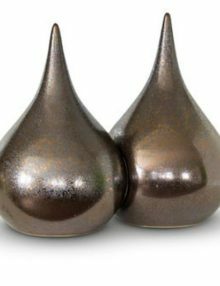 All of the marble urns from UrnsForAshes come with free delivery and returns as well as our 100% satisfaction guarantee.